Frugal living doesn’t come naturally to everyone. Lots of us, me included, are used to spending what we have on what we need, when we need it. There was a time in my life when I spent without thinking about the future, I spent without considering the detrimental effects of credit card debt and, probably most importantly, I spent because I was unhappy and I didn’t have a plan for changing how I was feeling. Then circumstance stepped in and everything changed. A job loss while I was living a thousand miles from my family, friends and general support network forced me to look at everything differently. I had no money, jobs were scarce due to a recession and interest rates (I bought my first house shortly before being downsized) were through the roof. Back then, the internet was a thing of dreams so I couldn’t Google ‘frugal living tips’, I had to learn the hard way and finally start applying all that information my dear grandmother tried to teach me. 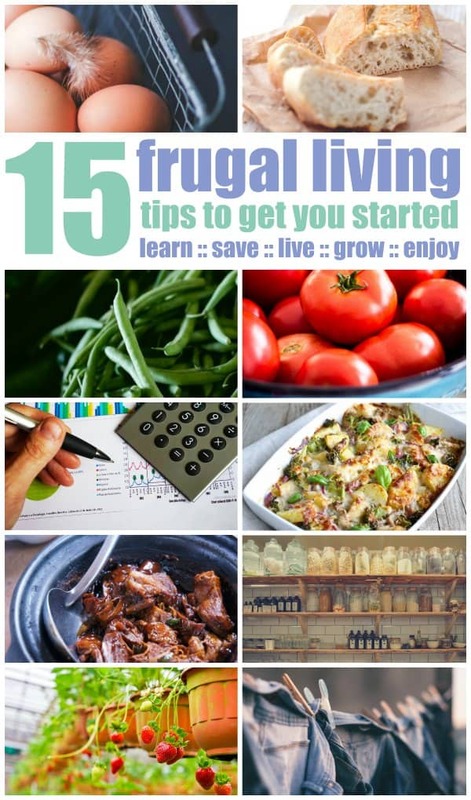 If you’re just starting out on your journey, here are 15 frugal living tips to get you on your way. If you’re used to spending without a care in the world, this will be a big one. Stop and think about what you’re buying, why you’re buying it, do you already own something that will serve the same need and, of course, can you afford it? Groceries can seem like a need but if you’re serious about cutting your spending and becoming frugal, the grocery store is where you can see immediate savings. Always have a plan before you step inside a grocery store. Know what you’re buying and what you’re going to use it for. Sometimes it helps to think big picture when you’re considering putting some or all of these frugal living tips to use. The most important question to consider is ‘Why?’. If you don’t have a good answer, one that resonates deep in your soul, then being frugal will seem like daily torture. When you know why, your frugal choices bring that goal closer to you each day. Here’s the short version of a Ted Talk by Simon Sinek that might help define this concept for you. Talk about throwing your money away! I’m not suggesting you stop buying toilet paper but, paper napkins and serviettes and paper towels not only chew up your disposable income, they also devour vast quantities of natural resources for absolutely no lasting benefit. Head to the thrift store and buy some fabric napkins and tea towels. Better still, make your own from scrap fabric or old towels. Waste not, want not! Wholesome, nutritious food doesn’t need expensive ingredients, just a little time and know how. If you’re not used to cooking meals from scratch, don’t expect to cook everything from scratch from day one. Start slow; search Pinterest for interesting recipes (check out Smart Money, Simple Life’s boards for ideas), watch YouTube videos to learn techniques and spend a little time in the grocery store getting to know what’s available. It might seem like work but remember, the most important thing you can do for your and your family’s health – is eat well. A simple rule to follow is to shop the perimeter of the store, that’s where you’ll find all the fresh food. Bar soap is much cheaper and will last a lot longer than shower gels or washes. Evaluate each product and see if there’s a cheaper version or a better solution to your need. 7. 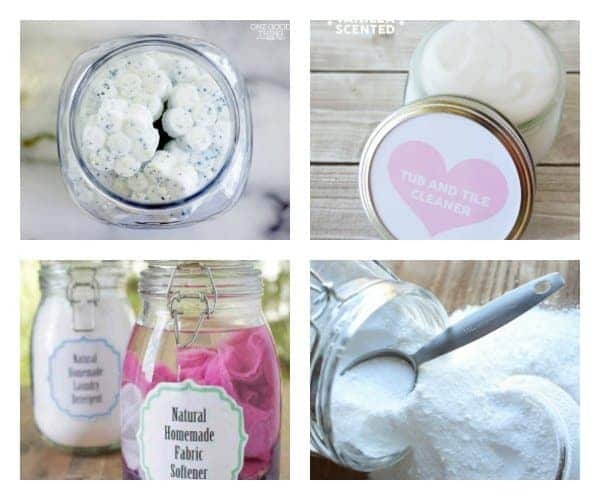 Use simple and cheap homemade cleaning products. There are lots of ways to ensure your home is clean without resorting to harsh chemicals. The classic combination of baking soda and vinegar will see you through most of your cleaning needs. You can find more options on our Frugal Cleaning Tips Pinterest board. I love the term brown bagging it! Does anyone still take their lunch to school or work in a brown paper bag? The good thing is, everyone knows what you mean when you say it. Unless there is a really good reason, always take your lunch to work. You could create a wonderful gourmet meal every day and it will still be cheaper than buying a healthy lunch everyday. Of course, you wont be doing the gourmet thing, you’ll be making healthy, nourishing food from cheap simple ingredients and taking that to work or school. It doesn’t have to be fancy, it has to be frugal and that means excellent nutritional value for money. You can find lots of ideas on our Recipes – Lunch Box Ideas Pinterest board. Step away from the mall! It’s pretty simple, the best way to avoid impulse purchases is to either stay way from the shops or follow Frugal Living Tip #2. This is one of my favourite frugal living tips! I’m a huge fan of libraries. They’re free and full, not just of books but other entertainment options like DVDs, information sessions, and author talks, not to mention activities for kids. While you’re at it, check out your neighbourhood centre for free activities, too. If you’re disciplined, you can make use of your credit card’s reward program. I regularly use my rewards for prepaid visa cards and they can be a real boon to the budget. The caveat here is that you must always pay your credit card in full, every month. If you can’t do that, you need to stop putting anything on the card until you can. If discipline is a problem, remove the credit and debit cards from your wallet and leave them at home. Allocate a specific amount of cash and when it’s gone, your spending stops. Don’t let any of it go to waste. Even left over cooked vegetables can be put to good use. As an example, I store cooked vegetables in the freezer until I have a decent amount then I cook them up with a bit of bone broth, puree them and add them to various dishes – my favourite is Mexican style chicken (chicken, vegetable puree and taco seasoning served over rice). It’s a sneaky way of upping your vegetable intake, too and that’s always a good thing. It might sound counter intuitive but you’ll actually spend less on clothes when you know exactly what you own and you can put together a range of outfits in a timely and stress free manner. Being frugal is not about being cheap, it’s about being smart with your money and using it wisely. Having 25 dresses, labels still attached, is not being smart with your money. Plus, it becomes a source of stress. Best to cull your clothes and keep what you love and wear. There’s a lot of talk lately about tribes. It might sound a bit trendy, but we all gravitate toward people who we believe are like us. If you’re changing from spendthrift to thrifty, you might find some relationships become… challenging. Look for ways to connect with like minded folks. You can join us at Smart Money, Simple Life on Facebook and Pinterest or subscribe to our posts. There are lots of options and you’re bound to make friends all over the world and learn a lot in the process. This selection is just the tip of the frugal iceberg. 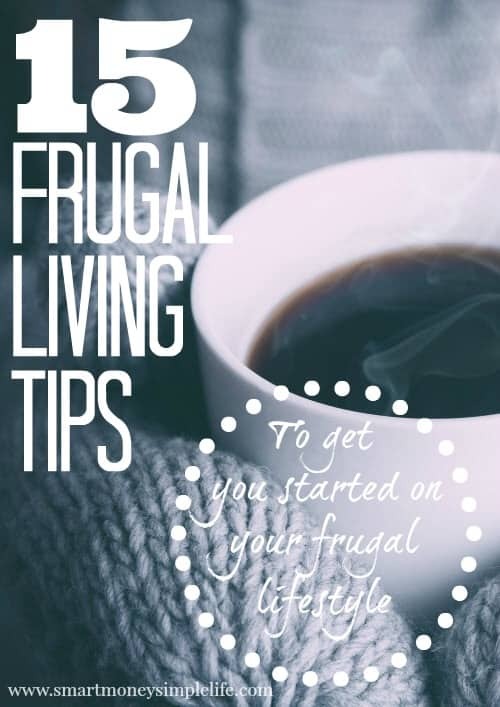 There are so many different frugal living tips out there, some will appeal to you (or possibly your sense of adventure) and some might not. The trick is to try those that seem do-able and progress from there. Like I said, frugal living doesn’t come naturally to everyone and it can take time to build these steps into solid habits. Occasionally, some of us fall off the wagon but if we have a strong ‘why’, we always climb back on again. So, if you’re just starting out on this journey, have fun and don’t be too hard on yourself if you slip up occasionally. Is being frugal natural for you or did circumstance (or choice) set you on the frugal path? That last tip is really one of the powerful ones. If you constantly have to hear about how much other people are spending from people who aren’t good at managing their finances, it can warp your perception of how you should really be handling your money. Yes! It seems we never grow out of peer pressure. When I had my day job, I always made sure to bring my lunch as often as I could. It saved money on food, on gas (since I didn’t have to drive to get the food), and time as well! I learned that one early, too. I wonder how much money it saved us over the years? Being frugal definitely doesn’t come naturally to me! It wasn’t until I had buried myself in almost 500k in debt that I knew I needed to make the change. Bad habits are hard to break but your list is awesome! Some of us have to learn the hard way… I know I did. Once learned though, never forgotten! We use most of these tips when we can! We’re certainly not perfect, but it does help to make good decisions most of the time. Food spending in particular has been an issue for us in the past so I take special care to make all of our meals at home. Nobody is perfect, Holly! I find food spending tends to grow in tandem with my busyness – still working on that “planning” thing. My mom was frugal. So while I don’t always follow the steps above (cough cough COOKING cough cough), they’re usually my first impulse. Which is something. Not always enough, but something. I think you forgot the main frugal thing one can do: stop driving your car so often! I am amazed at how often people take their car around here for simple things that could be done on your feet. Most of us need the exercise anyway! I’m saving several thousand dollars a year by not driving a car, at all. I think our family’s a bit extreme in that regard, but there are lots of ways to reduce your dependency on your car, and save big time. Yes, you’re right. Cars burn through a heap of money. It’d be nice if it was practical to go without one, unfortunately it isn’t always an option. It’s a very good point though! I think coming up with the why was the biggest change for me. I have to remind myself of that all the time for many many different reasons, like when freelancing gets hard, I remind myself why I want to to do it. And when it comes to purchases, when my guard is down and I’m tempted to spend, I also have to remind myself why I need to not purchase something, or at least think about it a lot more. I have to disagree with bar soap though. 🙂 I find it disappears quicker in the shower! I definitely found knowing my ‘why’ has made the inevitable sacrifices much easier to make. The library is one of my most favorite frugal resources! In fact, that reminds me that I need to pick up my holds today (the new Stephen King book is waiting for me already!). I’m just now starting to get into using credit card rewards–wish I had started this a long time ago! I’m a big fan of using your credit card to YOUR best advantage and not the bank’s. These are some great tips! I try always to bring my lunch to work, but sometimes I get caught up in going out to eat if a bunch of my coworkers are going as a group. I completely agree, we NEVER grow out of peer pressure! No, we never do! Everyone needs to socialise occasionally though. Hi Diane!! These are such good tips! I personally need to stop buying paper products and grocery shop with a list!! I’ve gotten better at eating at home and cooking from scratch, but I still go to the store multiple times per week and purchase whatever I feel like. We always end up eating the food, but I know we could be doing better in this area! Some habits are hard to break so it really is a process. Zipping off to the shops for one or two things is a *really* tough one to change – I still do it too often! Great tips, I try to stick to most of this tips you have shared as well. There is nothing worse than throwing away your hard earned money! 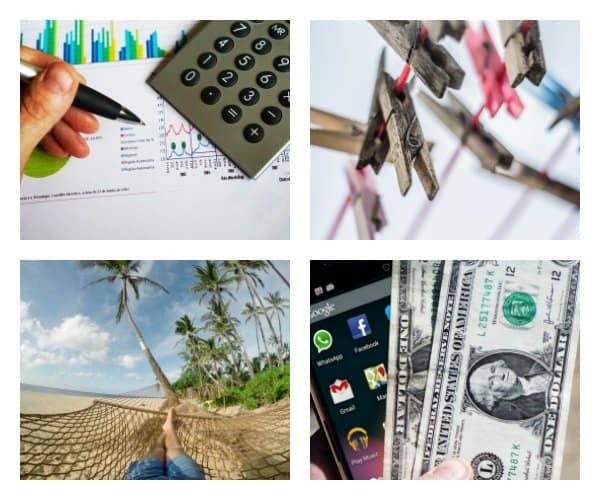 Ok, great tips… Motivation is really important to achieve anything so the last tip “Surround yourself with frugal people” really works as people around us impact our life and sharing ideas and trends let us move in relevant way. People around me keep sharing their frugal ideas and deal/coupons of Retailmenot.com, LavishCoupon.com and of other coupons sites and this is how we are able to save money. Thanks for these tips. Agree with your last tip. I went to the beach with my sister. She kept pressuring me to spend money and wouldn’t understand when I would tell her why I couldn’t do it. We wanted to just go to the beach and go home. I’m going to avoid going to the beach with her as much as possible in the future. Most of the tips we already do. How do I get my husband to stop eating out at lunch. I’ve also been fighting with him for months about getting rid of satellite TV. His argument is always about the sports. A great addition to the library idea is Overdrive. They have an app that can be downloaded. Plug in your local library and create an account using your library card. Bam! Download digital books to your electronic devices.